First of all, why should anyone take in such a big lady, who should already be with her husband as a maid? She has a mission and it's just to steal money and escape, not to work as a maid. 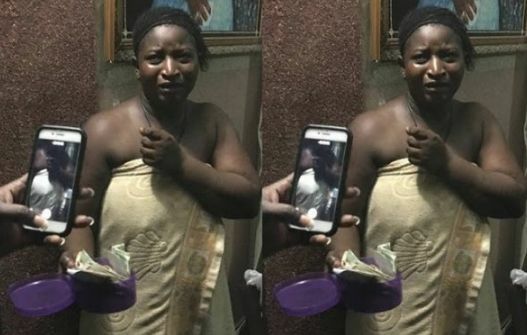 I watched the video this morning on my timeline and my conclusion is that this lady has not made the kind of money she wanted from men, hence she decided to go undercover as a maid. That's the logical explanation, that could make her steal at different times, as much as N5m in the house in less than 10 days of working there. Just send her away in peace, please.